Book Review Killers of the Flower Moon: The Osage Murders and Birth of the FBI by David Grann. This book is written in a simple cadence, almost in a newspaper style. Author Grann is in fact a writer for The New Yorker Magazine. And that makes for an easy read. But the topic and story line are anything but simple. In fact, the story is truly astonishing. And for me the most astonishing thing about this true story is that I had never heard about it before. Killers of the Flower Moon chronicles the historic time in the 1920’s and 30’s in Osage Oklahoma when Osage Native American’s were being murdered left and right and nothing was being done about it. Nothing. A blind eye was turned for years – while mafia style corruption and murder was rampant in Oklahoma. The Osage tribe was some of the richest people in the United States at the time, due to oil reserves on their land. But it took years for the government and law enforcement to acknowledge that the richest of Osages people where systematically being picked off. Eventually with the early form of the FBI and Herbert Hoover looking for some success to hang his hat on – an in-depth criminal investigation began in Osage, with the eventual arrest and conviction of two people. Out of the trial came a clear tale of corruption and collusion in every level of the community including law enforcement. And even today the people of Osage, the FBI and the author acknowledge their were many other’s involved who were never arrested or tried for many other murders which were never connected to the scheme. Possibly hundreds of murders. It was a different time in our country and yet, it still makes me angry and ashamed. Because you bet if this had been happening to the rich Rockefeller or Getty’s in the East or the Hollywood moguls of the west it would never have continued for so long and hurt so many. But, this was a look the other way crime, minorities are lesser citizens case of pure and evil racism and murder. 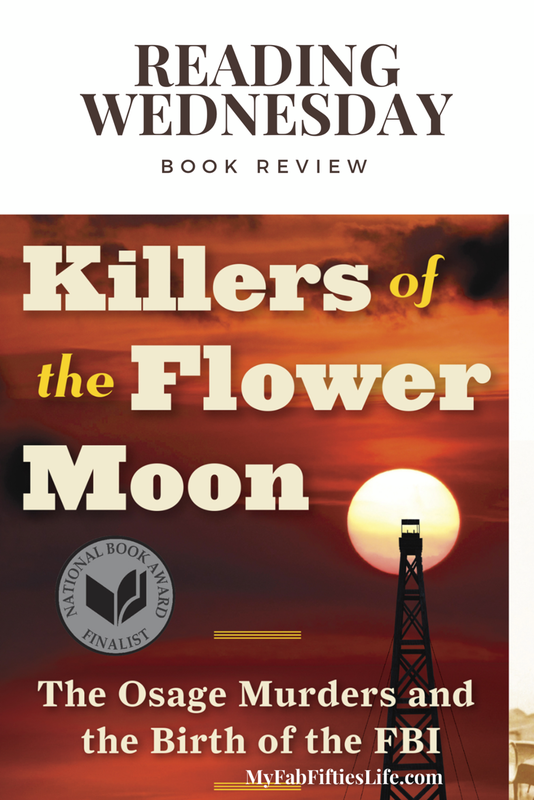 ⭐️⭐️⭐️⭐️⭐️Five stars for Killers of the Flower Moon: The Osage Murders and the Birth of the FBI. Read last week’s review of The Orchardist.